The Divi Builder v2.21.2 gives you the freedom to explore new and exciting layout possibilities. Create stunning landing pages that capture your visitors, and build story-driven blog posts that capture your visitor’s imagination. With Divi, you have 3 section types, 20 row types, and over 40 content modules in your toolbox. 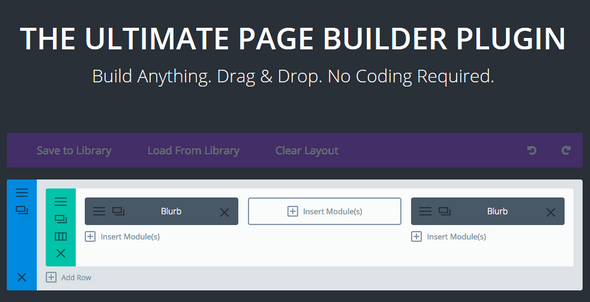 In addition, the builder allows you to fully customize each element using the Divi Builder’s advanced design settings.